You deserve a high quality garage door for your home. At Regional Doors & Hardware, we can show you durable, weather-tight, and eco energetic doors that will improve the appearance of your home and won’t break your budget. No matter what look you have in mind, we have a variety of Styles including traditional, contemporary, and country Style garage doors. Our customer service is our highest priority, and we are ready to provide assistance with any problems or repairs that are necessary. Our installations are handled professionally with care and precision, ensuring great operation and durability every time. Our installers have years of experience and professional training, allowing them to expertly install each and every garage door they service. You’ll appreciate how quickly and smoothly we install your new, high quality garage door. Create a garage door to your exact specifications! The value and curb appeal of your home will be significantly affected by the quality and appearance of your garage door. At Regional Doors & Hardware and Garaga, we can help you find the perfect door for your home. Find the garage door that meets your budget, adds value to your home, and will last a lifetime. 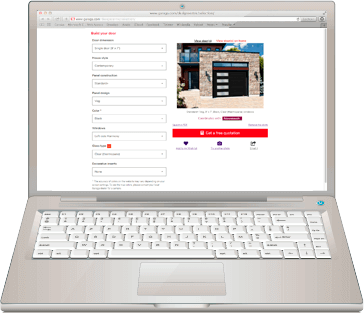 Our Design Centre allows you to create your own custom garage door. A garage door is just one element of your home, so it’s important that you have one that perfectly complements the existing Style and features. Choose your door model, colour, and then try out extra options like windows and door knockers. Don’t Stop until you’ve designed the perfect door! Create exactly the door that you’ve been looking for! 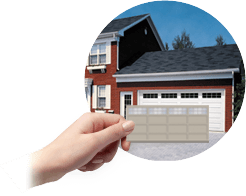 There are a lot of different options and choices for your next garage door in Hamilton. Depending on your budget, tastes, and needs, it might be difficult to find a door that meets all of your expectations. At Regional Doors & Hardware we have been helping customers find the perfect door of their dreams for years. We can help you determine exactly what you need and show you all of the doors that meet those requirements as well as your budget. For a little extra Style, we can show you some great additions and accessories too! If you have a modern house architecture like in Prairie Modern development in Stoney Creek, we have a wide selection of contemporary garage doors. We also have a collection of country Style garage doors perfect for carriage Style houses we find in Hamilton Beach. For new construction and renovations projects we recommend visiting Hamilton’s city website to make sure your project reach your city’s rules and regulations. We are committed to providing our customers with only the best garage doors, technologies, and accessories available. At Regional Doors & Hardware, we strongly recommend LiftMaster garage door openers. They’re safe, durable, and very reliable. Garage door safety is a number one concern, and with LiftMaster garage door openers, you can rest easy knowing that your garage door will close safely, completely, and securely every time. Their openers utilize the latest technologies, and owners can now control their garage door from their smartphone, tablet, and computer. Never worry about losing that garage door opener again! Unfortunately, garage door safety is an area that many homeowners forget about or don’t even think about. Your garage door is used every day by your family, including your children, and it should be checked and tested regularly to make sure it’s operating safely and correctly. At Regional Doors & Hardware in Hamilton, ON, our technicians are trained to perform a 10‑point maintenance program. During an annual inspection, our team will help you make sure your door is operating safely, is well lubricated, and is suffering no serious wear and tear. With regular care, your door will last a lifetime!